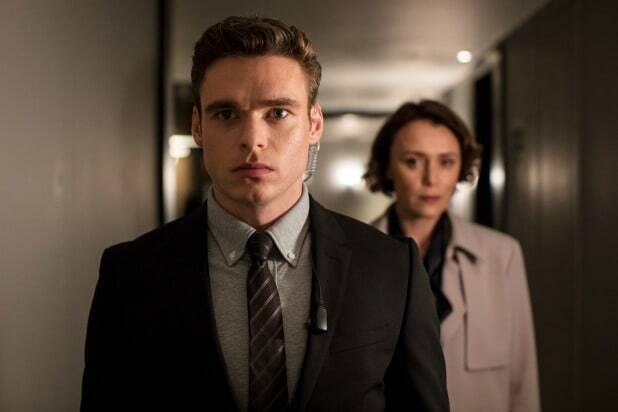 There’s a lot to unravel once you reach the end of “Bodyguard,” the new Netflix limited series starring “Game of Thrones” alum Richard Madden. It’s a show full of red herrings and other robust misdirections, and by the time it’s all over your head very well may be spinning as you try to put together all the pieces. As you try to parse what in the hell just happened. Don’t worry, because we’re here to help you pick through the madness and see the full picture of the six episodes of conspiracies and counter-conspiracies. It’s actually not all that complicated overall, but the way the show doles out information it can feel like way more of a convoluted mess than it really is. Like real life, “Bodyguard” is not a clean and straightforward story. When all is said and done, what looked throughout the show like one big conspiracy is actually three unrelated ones. Sure, they may all be centered on British Home Secretary Julia Montague (Keeley Hawes), but the three plots are completely separate from each other and in fact have opposing goals. They were not, however, in direct conflict with each other. David Budd, the former soldier turned cop/security guy played by Madden, just had the bad fortune to be caught in the middle of all of them. 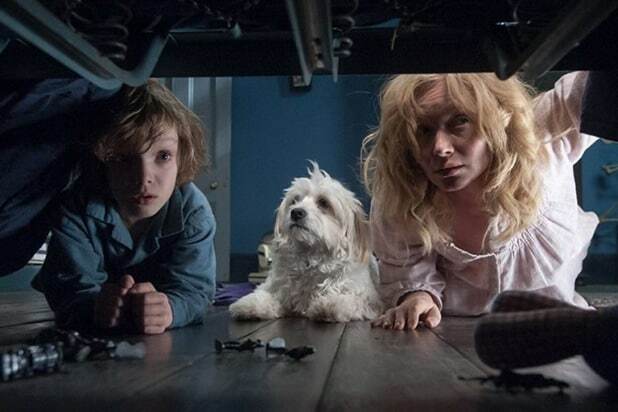 The first conspiracy, the one that takes up most of the second half of the show, is Montague’s assassination during a speech in which she’s defending her new security bill, RIPA 18. That bill is at the heart of everything going on here — it’s a draconian bill that intends to grant increased powers to domestic law enforcement to crack down on illegal immigration and other crime in the wake of an attempted train bombing. That bill is why Montague was assassinated — but she wasn’t killed by civil liberties activists. Instead, she was killed by members of a London crime syndicate which felt threatened by the bill. The main characters ultimately responsible for Montague’s death are: Luke Aikens (Matt Stokoe), the head of that crime syndicate; Lorraine Craddock (Pippa Haywood), a chief superintendent in the Metropolitan police and Budd’s boss; and Nadia Ali (Anjli Mohindra), a Muslim British woman whom we were led to believe was forced to wear the suicide vest on the train in the series’ opening sequence. That’s it! All those machinations by government folks was a totally different thing, and those people had nothing to do with Montague’s murder. But they did have their own plot going, which we’ll get to in a moment. Aikens’ syndicate was specifically concerned about provisions in Montague’s bill that would grant the Security Service, better known to us as MI5, increased power to crack down on organized crime. The problem for Aikens was that while he had police officers like Craddock in his pocket, the Security Service was much more difficult to penetrate. So that shift of law enforcement powers would be a major threat to his organization. For Nadia, who turns out to be an Islamic terrorist, the partnership with Aikens was one of convenience. Her group got paid and could thus continue to do their thing while also taking credit for any violence carried out with their explosive devices, and Aikens got to throw the bombs at targets he chose, such as Montague. Craddock, meanwhile, was just a lackey who was on the take. Nothing really complicated with her. This group was responsible, in one way or another, for five major events: the incident on the train at the beginning; the attempted bombing of the school that Budd’s children attended; the sniper attack on Montague carried out by Budd’s old Army buddy; Montague’s assassination; and that whole finale with a knocked-unconscious Budd getting strapped in a suicide vest of his own. The second conspiracy was less murderous but still seemed pretty menacing. This conspiracy was headed by the boss of the Security Service, Stephen Hunter-Dunn (Stuart Bowman), and Montague herself — though obviously she didn’t get to see it play out. This second conspiracy was a clandestine effort to use blackmail material against the British prime minister in a power grab by Montague. Whether she was attempting to actually become prime minister herself or just the power behind the power is not completely clear. And, in fact, the motivations for the actions taken by each party to this conspiracy are also unclear. Montague, as previously mentioned, intended to grant the Security Service increased law enforcement powers in her RIPA 18 bill, and used her discretion as home secretary to get that ball rolling after the attempted terrorist attack on the train in the first episode. The Security Service supported Montague in turn by supplying her with dirt on the prime minister. What’s not clear about this partnership is whether Montague’s support for the Security Service was in exchange for their help with blackmail materials or if they were partners in a more sincere and earnest way. It doesn’t really matter. Aside from Montague and Hunter-Dunn, the only other major player in this conspiracy was “Richard Longcross” (Michael Shaeffer), the anonymous Security Service agent who operated essentially as their enforcer. These folks did not commit any murders — Nadia fingered Longcross as the man who supplied her with her bomb vest, but she lied to throw Budd and counter-terrorism officer Louise Rayburn (Nina Toussaint-White) off the trail. And since Hunter-Dunn refused to say whether Longcross was working for him and what he was doing, Longcross inevitably looked incredibly suspicious. Lastly, the third conspiracy was a response to the second one, and involved other major members of the Conservative party trying to curtail Montague’s ambitions: Rob MacDonald (Paul Ready), Mike Travis (Vincent Franklin) and Roger Penhaligon (Nicholas Gleaves) — Penhaligon is the one who is seen on multiple occasions angrily telling Montague to stop doing what she’s doing. They planned to sabotage Montague’s speech by planting bad info in her speech, and by having Tahir Mahmood (Shubham Saraf), an unwitting accomplice, interrupt her speech to issue corrections. Basically, these guys’ whole plan was to try to make Montague look dumb in front of the world in hopes that would slow her roll. It really wasn’t any more complicated than that. Unfortunately for Mahmood, however, he happened to be standing backstage holding a suspicious briefcase when the bomb that assassinated Montague went off, implicating him briefly as a suicide bomber. But they were not actually involved in any of the deadly plots. Aside from all that, we have counter-terrorism chief Ann Sampson (Gina McKee) looking suspicious as she tries to figure out why Montague is handing so much responsibility to the Security Service, but ultimately she was not involved in any of these other things. And that, more or less, is how “Bodyguard” all wraps up.